In Belgium when you have a selection of beers in front of you and you’re a little bit peckish, you get a charcuterie board to snack on between a few of you. 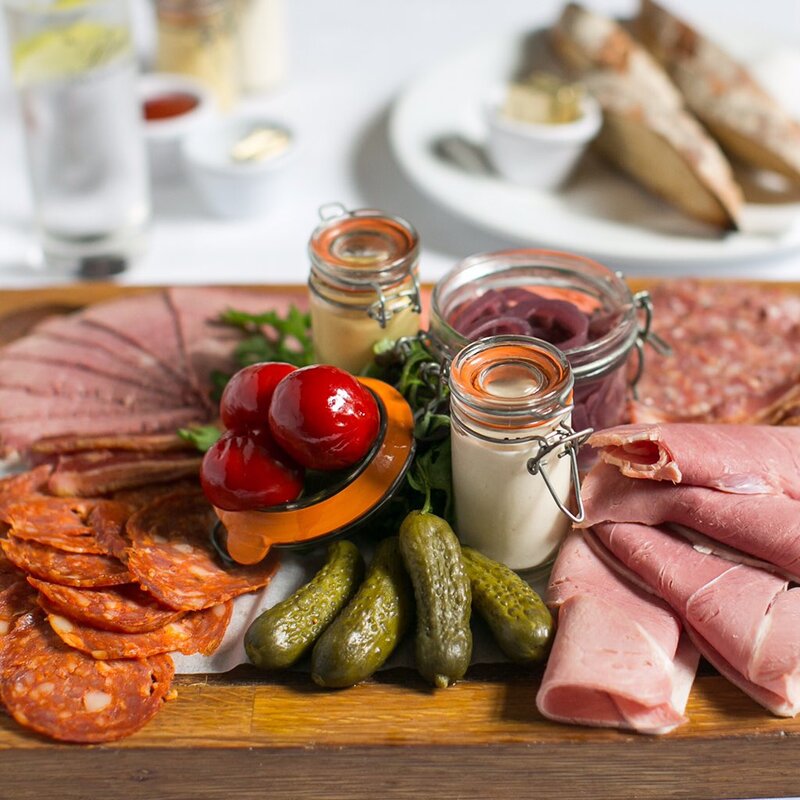 On the board will be a selection of different cured sausage meats thinly sliced, as well as a selection of cheeses, breads, pesto’s, and pickled veg. In Dublin, there are a few pubs that have picked up on this gourmet snack and offer it on their menus. Here’s a few of them. 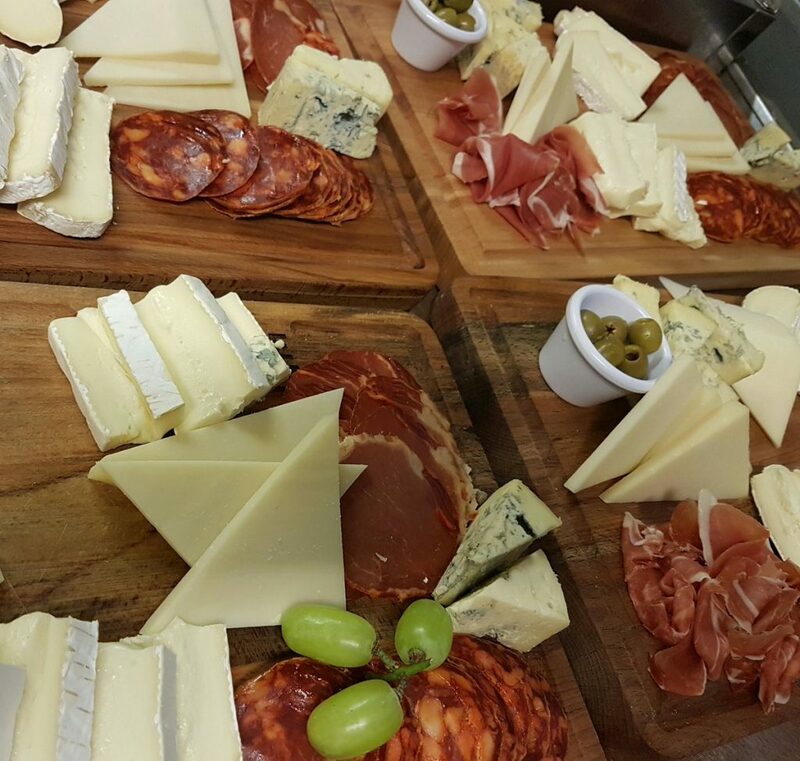 The Bull and Castle are the Kings and Queens of charcuterie in Dublin pubs. 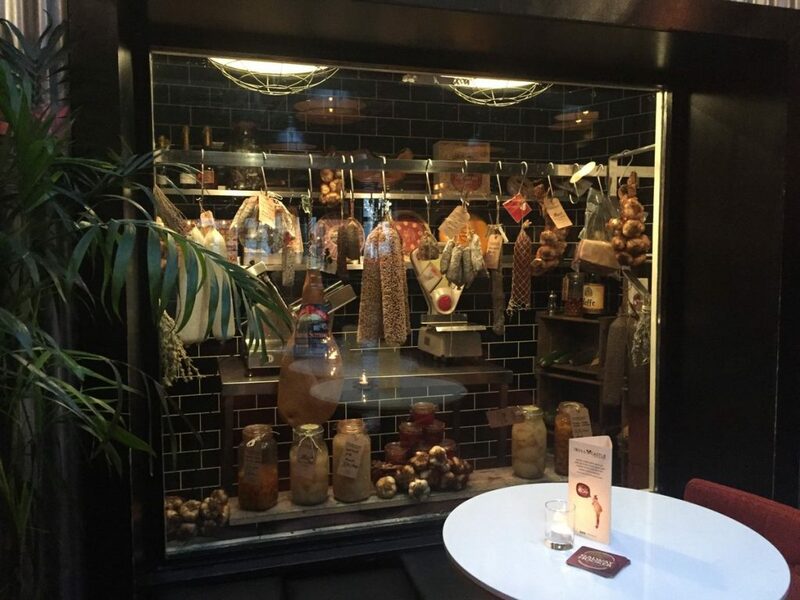 The selection is so good and so well thought out, that they have a special charcuterie room that is on display through glass upstairs in The Butchers bar. You can look in and get the mouth salivating before ordering one up. The Headline gives you the option of getting charcuterie boards for groups. You just have to give them 24 hours notice. So, this would be best for multiple boards for a large group. 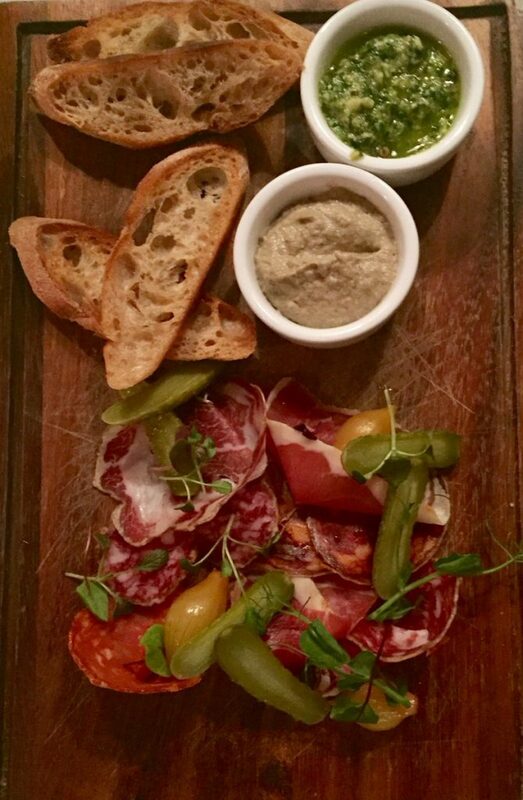 The Church on Mary Street have a charcuterie selection among other things on their excellent menu. L Mulligan Grocer in Stoneybatter is a super place to enjoy a board such as this. They deal in the best produce and spend a good deal of time in sourcing it. The Market bar is an excellent spot for Tapas. 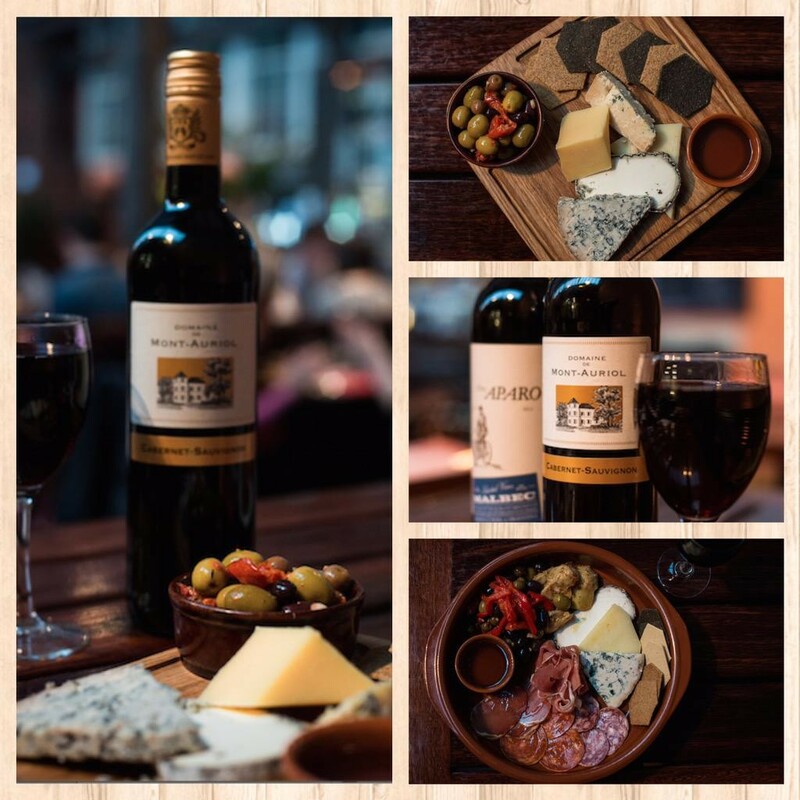 They have a selection of cheeses and cured meats with A mixture of montenebro, valdeon & manchego, with jamon iberico, chorizo, lomo & salchichon served with cheese biscuits, olives, roasted red peppers and artichokes for €15. 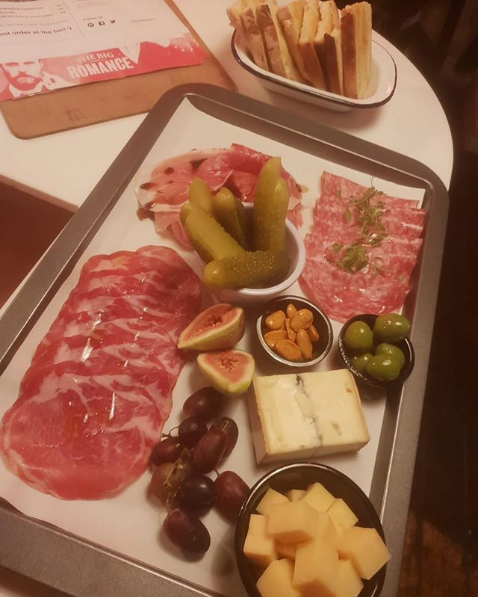 The Big Romance on Parnell Street have several sharing boards with sliced meats, cheese, olives, grapes, nuts, and pickles. Underdog on Dame Street have a very fine selection of Irish and international craft beers. 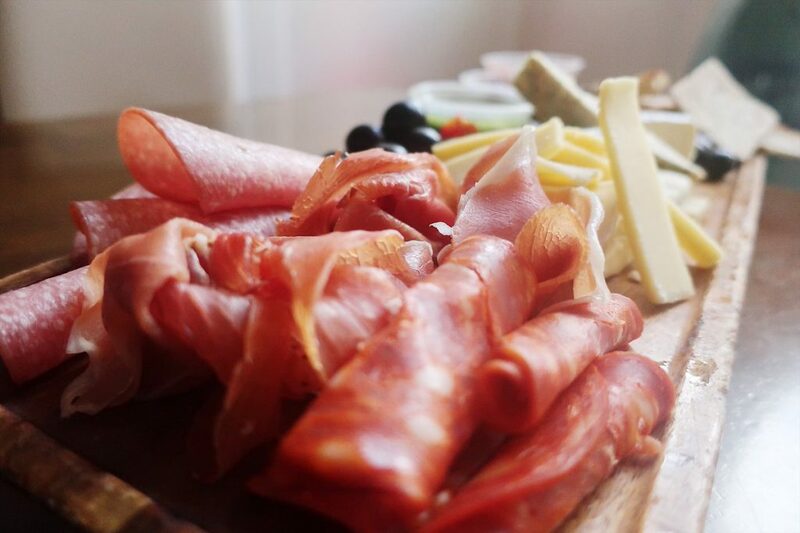 Maybe pair your charcuterie boards with a flavourful Belgian Blonde. 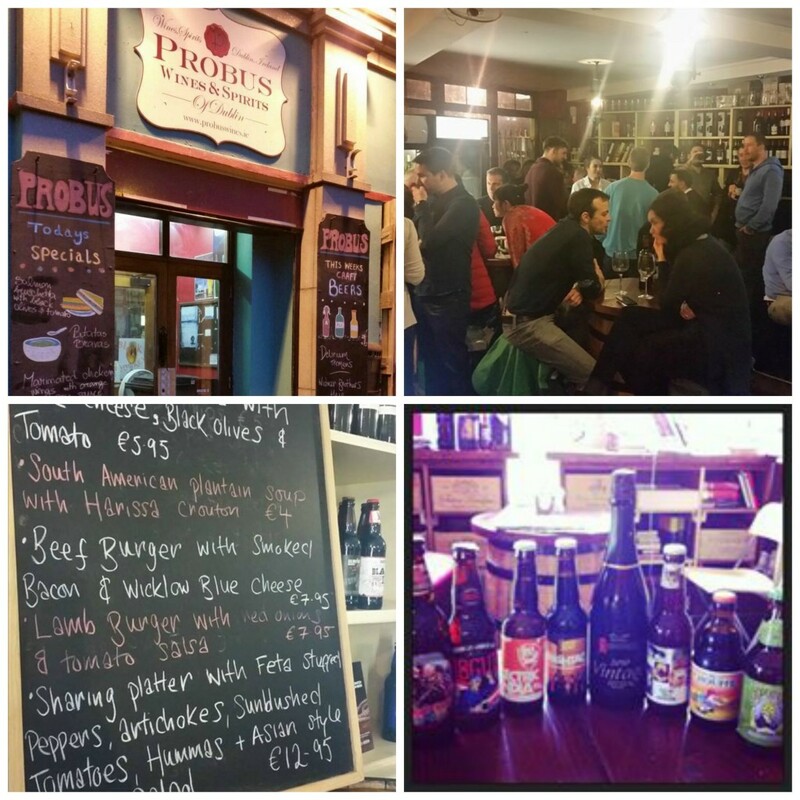 Probus wines on Fenian Street is a very interesting place altogether. It has both an on and off license, so they can function as either one. You can choose to drink beers on site with 20% corkage on whatever is in their fridges. 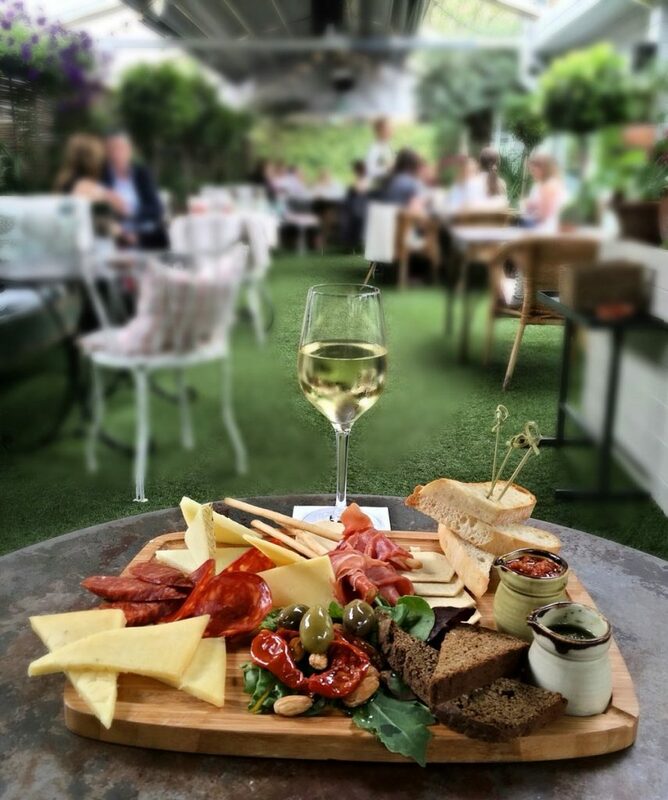 They also have a charcuterie board with chutney for €10.95, and a charcuterie and cheese board for €15.95. There’s some excellent beer sampling and food pairing to be done here. 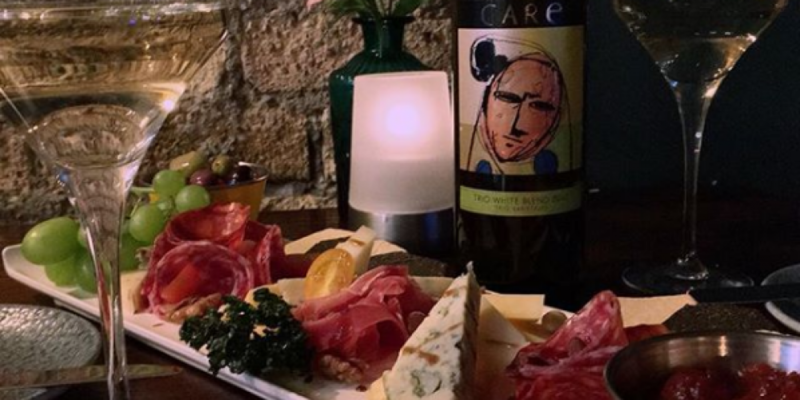 The elegant, House on Leeson Street, do an antipasti board of charcuterie meats, fine cheeses, dips, and warm artisan bread for €18. 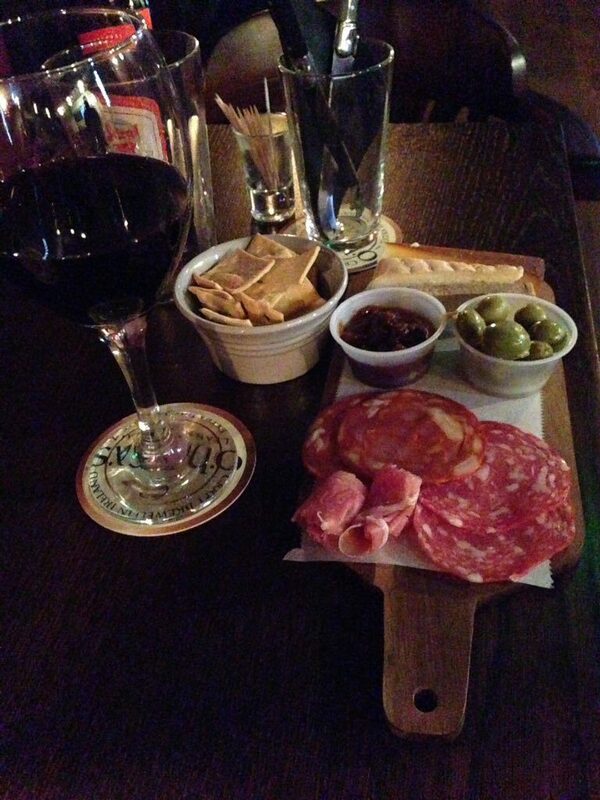 JT Pims on Georges Street do a fine Charcuterie board for sharing for €15.90. 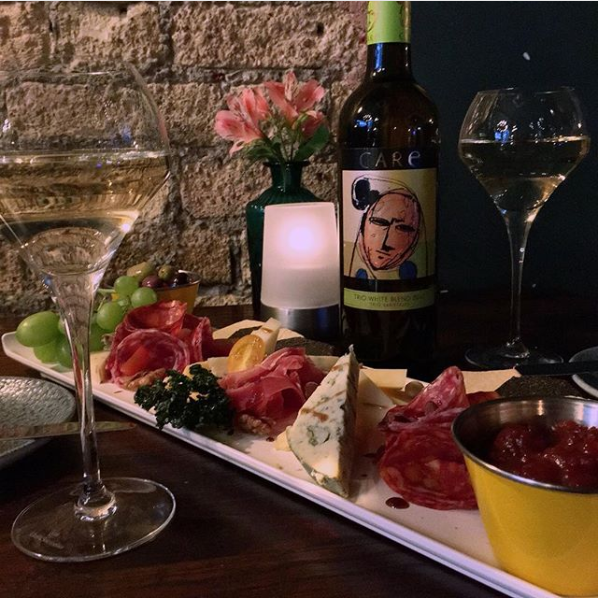 The veggie/vegan version is €13.90, and you can get a board with a bottle of wine for €30.